Trout angling from a boat and shore has been slow at Clear Creek Reservoir. Most of the reported catches from anglers consisted of homogeneous groups of 8 to 12-inch rainbow trout. A few anglers reported landing rainbow trout in the 18 to 25-inch range. The best trout fishing has been in the morning. In less windy conditions, fly fishermen were able to catch trout on dry flies resembling ants. Fishing with Thomas Buoyant lures from a boat has been the best method to catch trout. Trolling for trout at the southern part of the reservoir with a cowbell and worm combination worked well too. The kokanee salmon fishing has been very slow. Successful boat anglers targeting kokanee salmon caught the fish at dawn. The best tiger muskie fishing has been in the afternoon and evening. Tiger muskie went for rainbow Rapalas at the eastern part of the reservoir. Several anglers reported tiger muskie following a lure up to a boat but not striking the lure. The reservoir is closed to trailer motorized watercrafts on Tuesdays and Wednesdays. The current boating hours are from 6 a.m. to 8 p.m.
Rainbow trout and Snake River cutthroat trout from 10 to 18 inches continue to be caught despite the summer heat. The recent rains cooled the water temperature making the fish want to bite again. Anglers are using any type of PowerBait and various lures to catch fish. Smaller crappie, bass, and catfish are being caught on the west side of pond #1. Driving access is now open to the public to the back two ponds. There is one road leading to the south side of the ponds and the parking lot is between ponds #2 and #3. The lake is starting to rise. 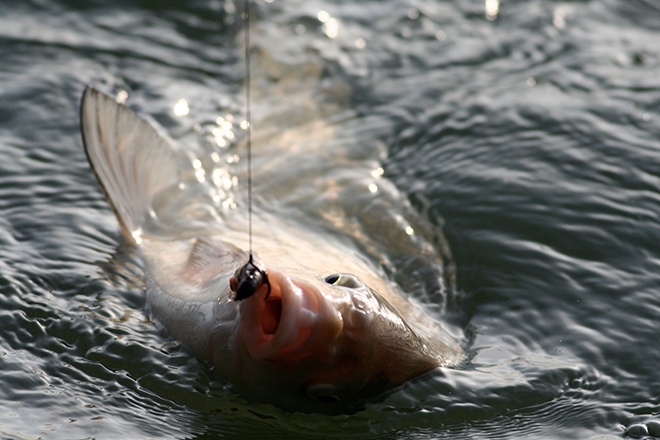 With the recent increased water levels, boat fishing success is starting to increase. The fishing from shore is really good for both rainbow and lake trout. The lakes are still low, although the runoff is starting to increase water levels. Fishing from boats has been fair, for both rainbow trout and lake trout. Fishing from shore is starting to pick up, especially near the power plant. Anglers are reporting lake trout being caught from shore with both sucker meat and PowerBait.